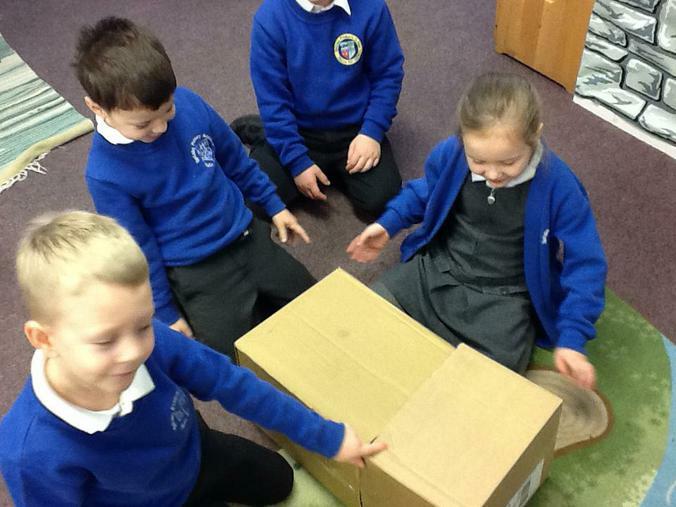 We received a problem today...the knights, fairies and royalty who live in our cupboard need a place to hide. 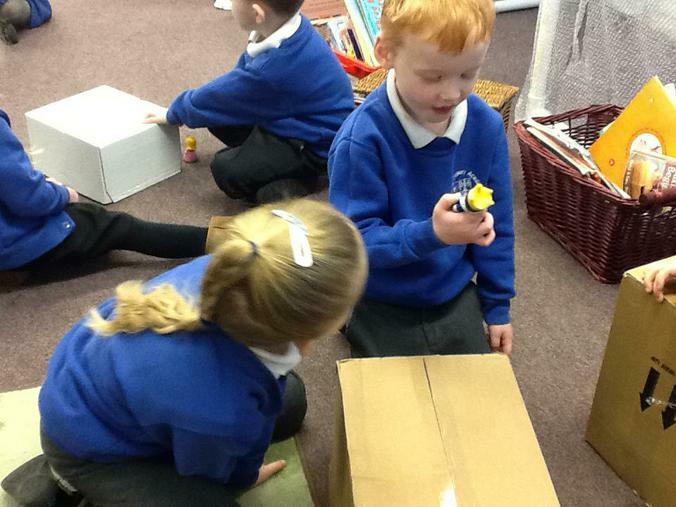 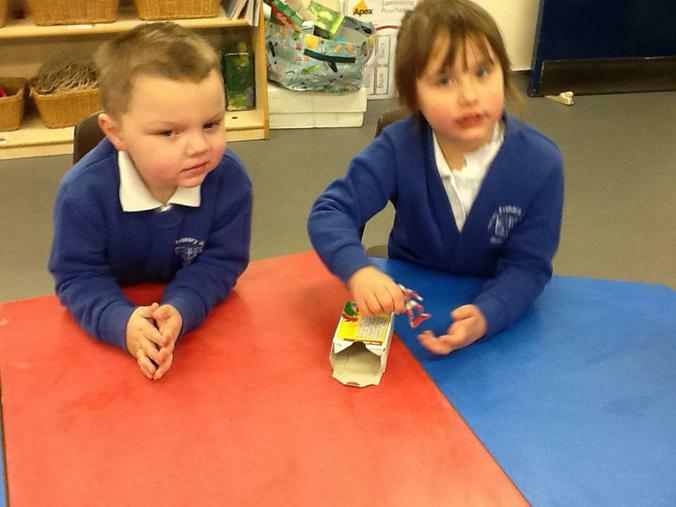 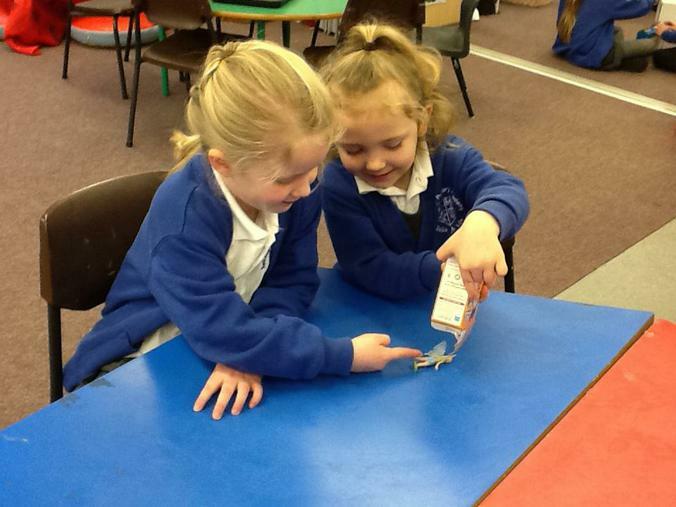 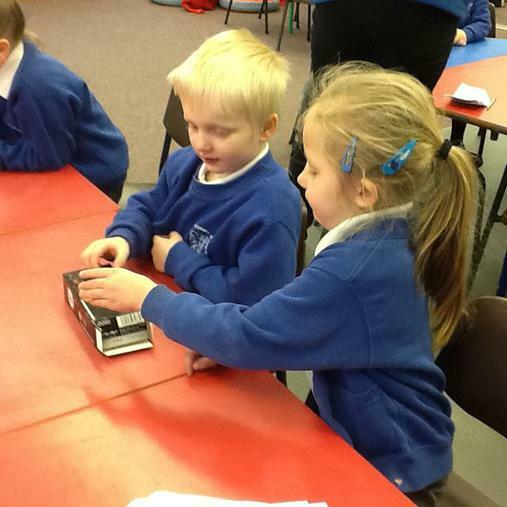 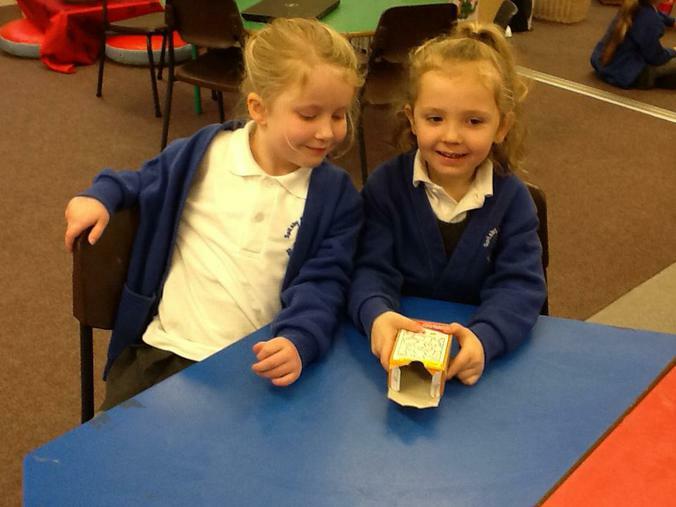 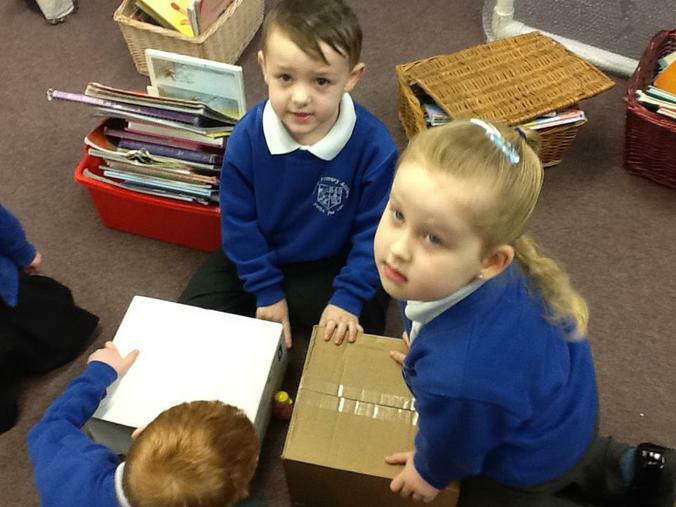 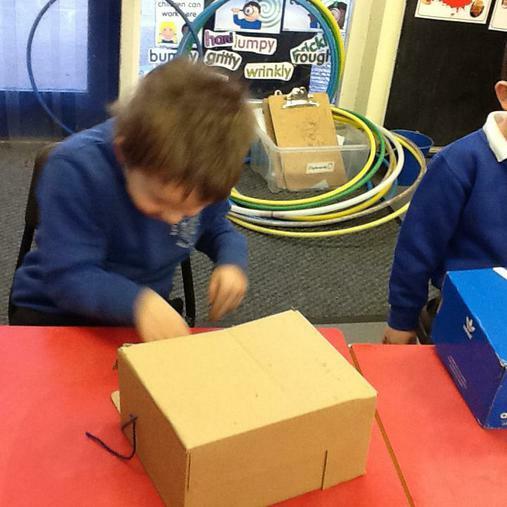 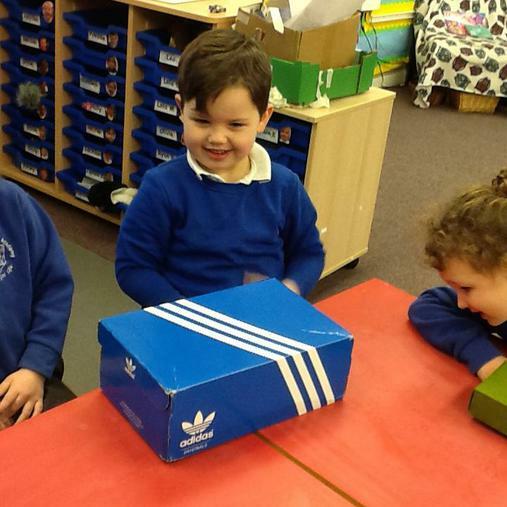 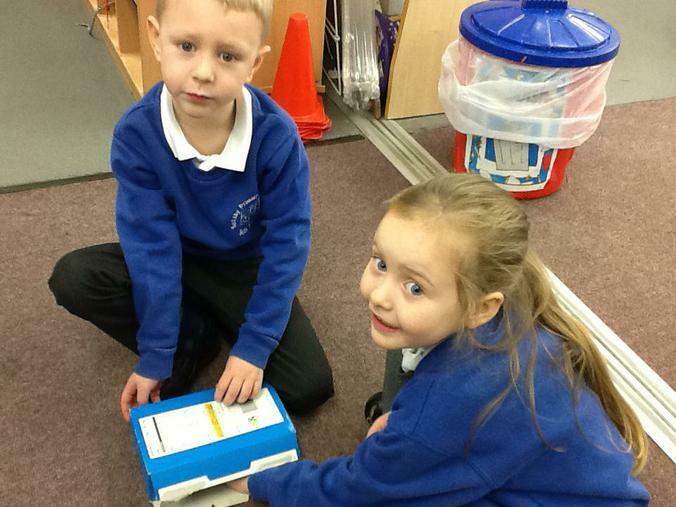 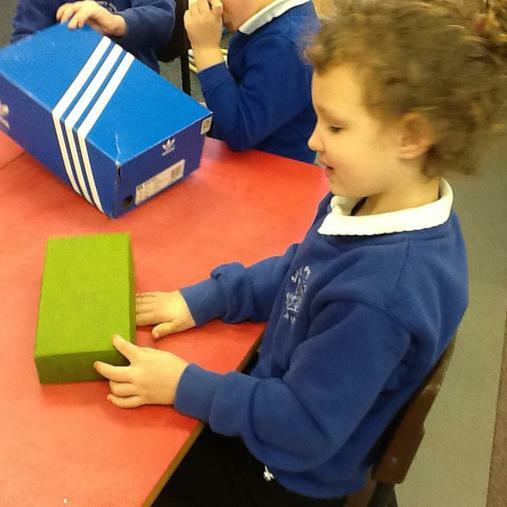 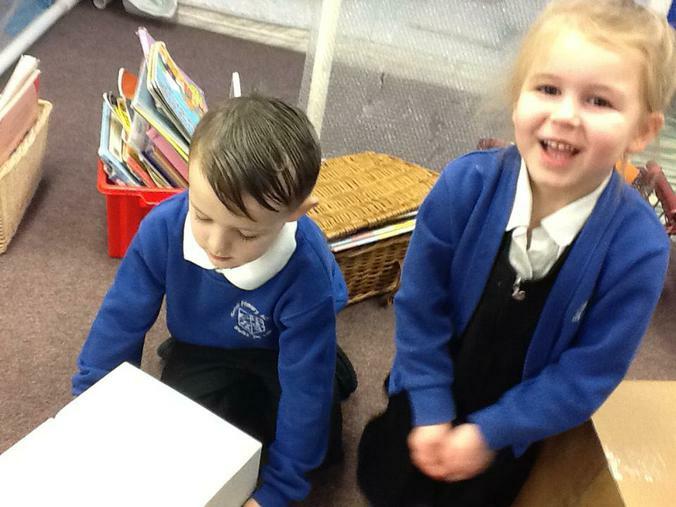 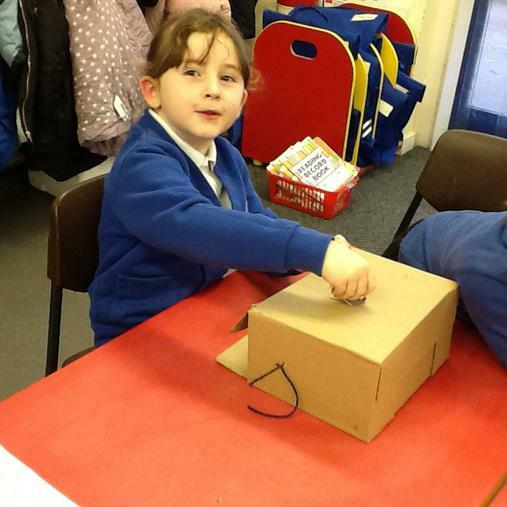 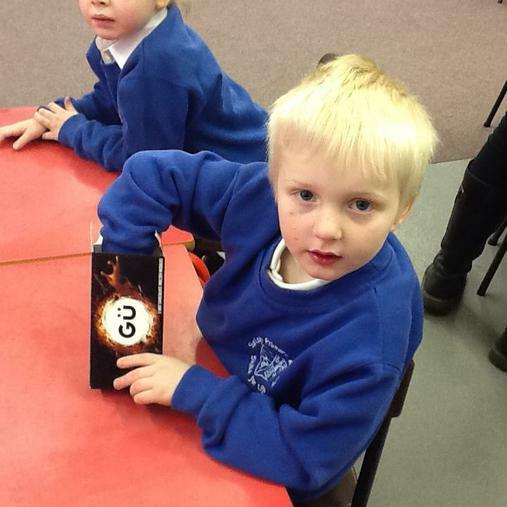 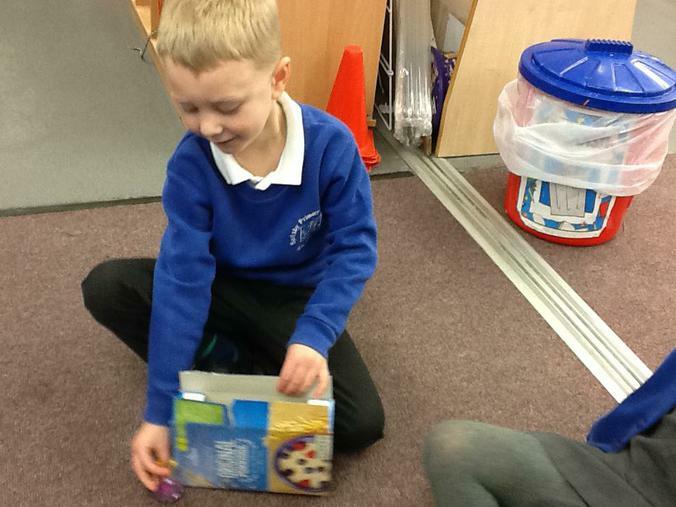 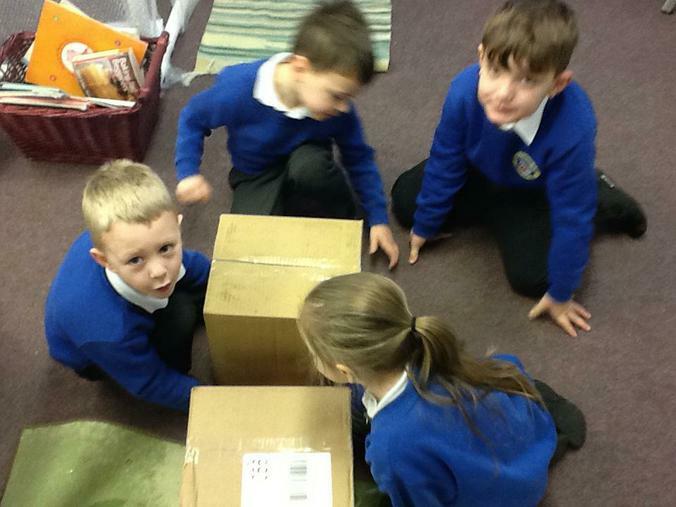 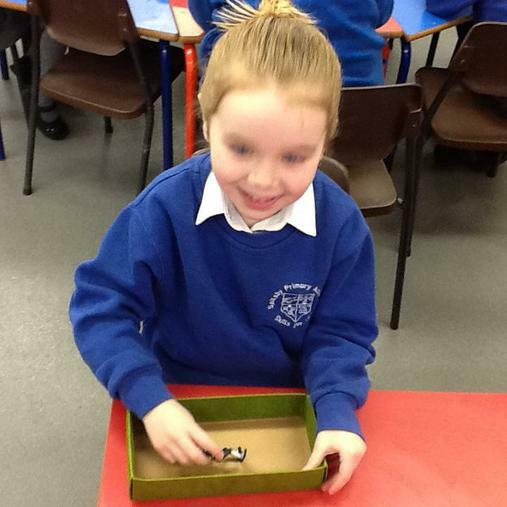 Our challenge was to find as many places for them to hide in or around the box, but we had to make sure that we told them accurately where to hide, using the correct vocabulary. 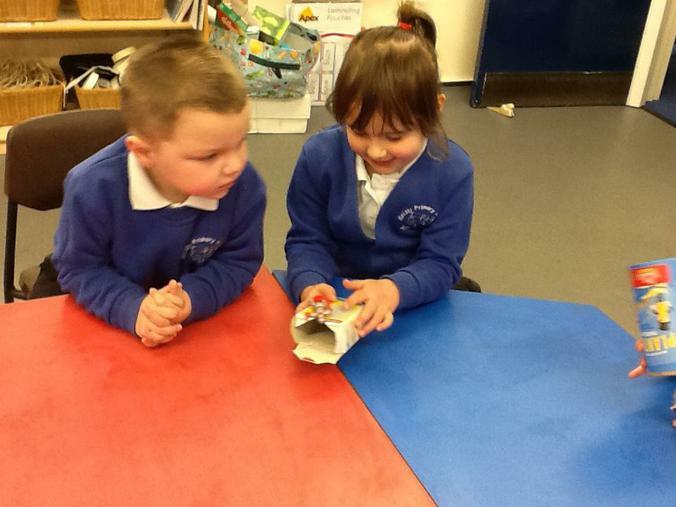 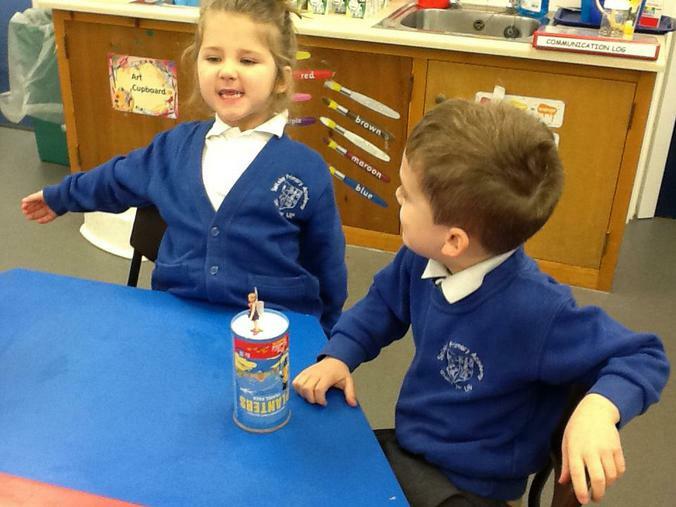 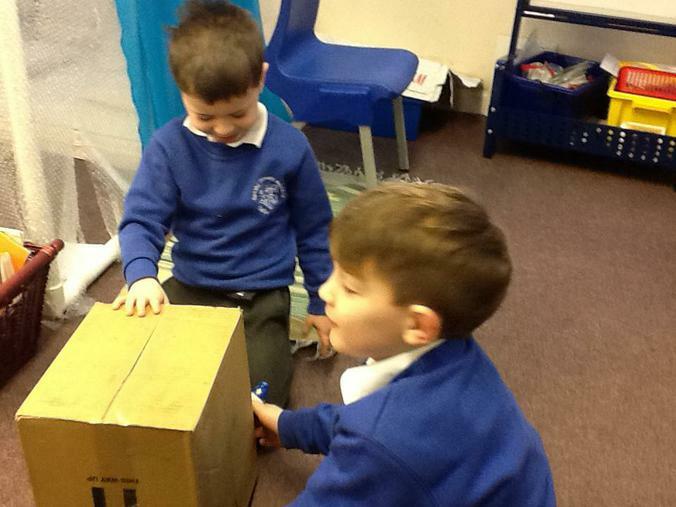 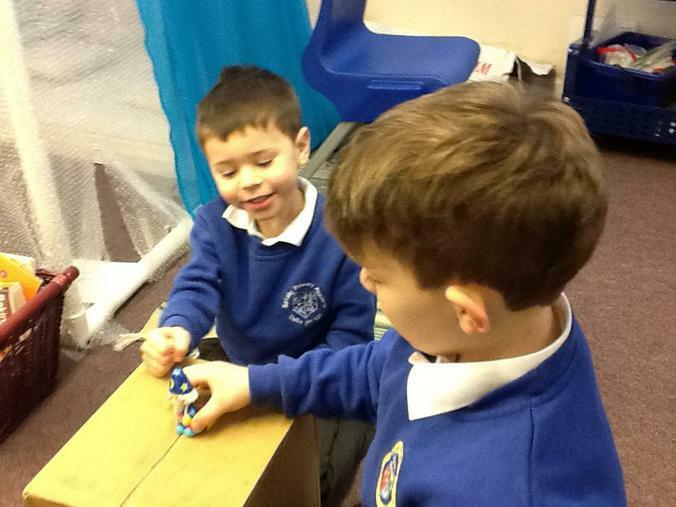 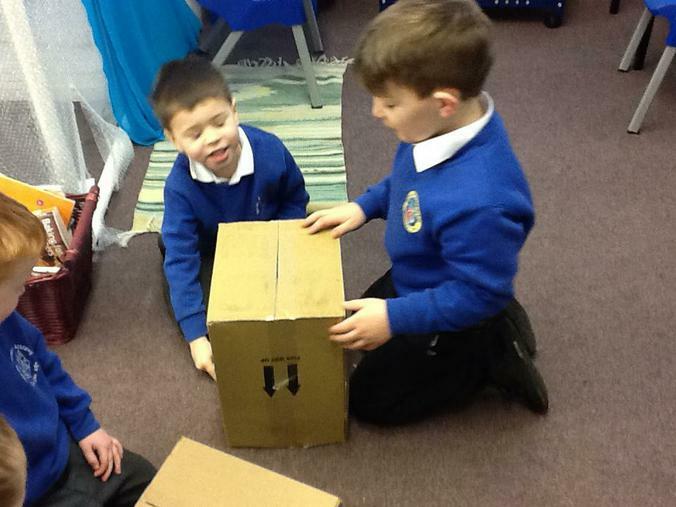 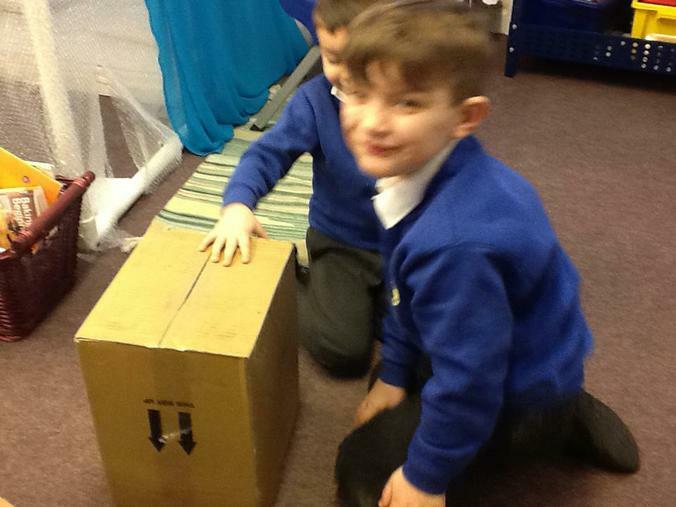 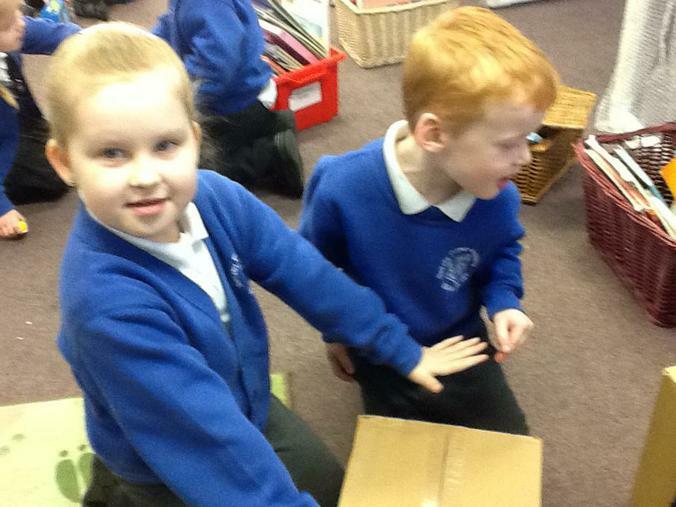 We were able to tell our character to hide, 'inside, on top, under, next to' the box and then added another box to find another hiding place, 'in between' or 'in the middle'.